Pastor Dave and Dottie came to Living Hope in 2007 after being teachers in Union City, Michigan for 30 years. They, were married in 1965 and have three married sons (Mark, Chris and Pete) and three grandchildren (Conner Kendall and Parker). Pastor Dave's walk with the Lord began when he was eight years old and was stricken with polio. In the hospital for nine months he promised the Lord he would serve him in the ministry, if he let him live. 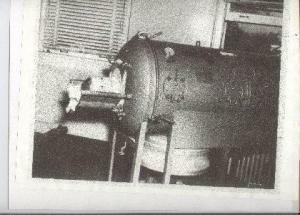 The disease gradually left him unable to move, breathe and in an iron lung (pictured). After seven days he died. On the way to the hospital morgue, the Lord woke him up. Throughout his life, Dave has remembered his promise but other things always got in the way. For Dave it was the army, other jobs and teaching. As life moved on it looked like the promise would never be fulfilled. But, God's timing is not ours. In the late 90's he was attending Cornerstone Free Methodist Church in Battle Creek, Michigan where he met Pastor Eric Perry. On a Wednesday night the Lord used him to show Pastor Dave how he could serve the Lord in the ministry after he retired from teaching. Dave felt the Lord's spirit and began his walk by working on his Elder's degree. While taking classes he was appointed as an associate pastor at the Battle Creek church , served as the head pastor of a struggling church in Climax, Michigan and was an assistant at Albion Free Methodist Church. Pastor Dave's life is a miracle and the miracle continues as Living Hope grows. God is good. All the time. Barb has been a member of Living Hope for over 40 years and has served in many capacities. Barb leads the ladies Bible study on Friday mornings and completes the many duties that she has as secretary. Barb also hellps with the Wednesday night elementary youth program, organizes the annual VBS, and serves in many other capacaties as needed. My Testimony: I was 12 years old when I first felt the pull of the Holy Spirit, and I gave my heart to Jesus. However the temptations of the world as a teenager and without a Christian family at that time, I was soon lost in sin again. It wasn't until I became a mother and saw the need of Jesus in my life that I returned to give my whole heart to God. The church that I was attending at that time was not in need of helpers, at least that is what I thought at the time, and I had a strong desire to serve the Lord. My mother and father were attending the Free Methodist Church in West Unity and my husband's brother, who had recently given his heart to the Lord,.was attending that church as well. We decided to try it out. My husband had also re-dedicated his life to the Lord as well. The moment we entered the church, I felt drawn to the family of believers that was here.. That was 40 years ago and even with the church family ever changing it has still been a family for Christ that has been the springboard to my service for Him. Many people that have entered the doors of this church, whether at the old building or the new building, have experienced the same as I did 40 years ago. It is a FAMILY OF BELIEVERS. Jeff has been leading the Youth Group at Living Hope since 1993, having fun with the kids while speaking the truth from God's word. His wife Penny offers additional insight and leadership for the youth. 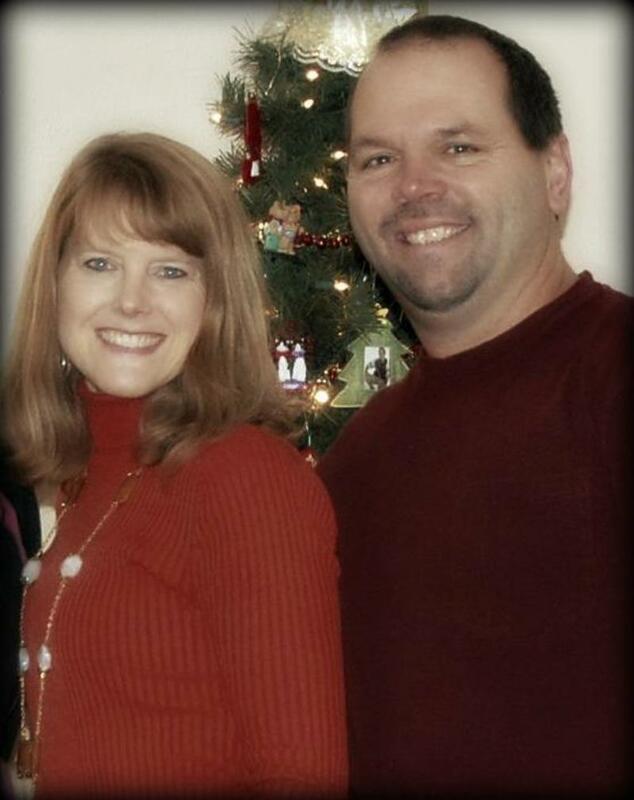 Jeff has been appointed by the board as Associate Pastor and has been preaching at the 8 am service on Sunday's since January 2018. He is currently studying to be a Conference Ministerial Candidate with the Southern Michigan FM conference. Kyle Clark has been the missions director since 2009. He has led a trip to the Native American reservation in Bonesteel, SD each year, works the church community garden and with the help of the missions team organizes dinners and bake sales to raise the funds for various outreaches - including trips to the Ronald McDonald House in Toledo, Children's Lantern in Defiance and other opportunities that arrise. As stated in Mark 16:15, the goal of the missions team is to "Go into all the world and preach the gospel to all creation." Ashley is the Treasurer of Living Hope and enjoys serving in many other ways as well. She is a member of the missions team and the children's Sunday School teacher.